The trees on our trail include the following species. If you are thinking of visiting Apley Woods, then download our Tree Trail PDF below. Native to Eastern North America and named because of its spectacular autumn colour. The acorns from the tree were once part of the staple diet of some Native American peoples. Its leaves are very similar to our own native oaks only 2 or 3 times larger. This particular tree is a fine specimen and one of the best of its kind. Native to Southern England and Europe it is not known for sure if it was a natural introduction following the last ice age or brought in by stone age man. Its nuts or beech mast are an important source of food for forest dwelling birds and mammals. In the past, wild boar and pigs would have enjoyed the autumn feast. Here at Apley you are more likely to see a flock of hungry pigeons devouring them. Native to Western North America and Canada, its timber has a tight, straight grain, a natural resistance to decay and few knots which make it popular for outdoor construction. For this reason the tree was the first choice for coast tribes when constructing totem poles, canoes and dwellings. Its foliage has a distinctive aroma of pineapple, especially when rubbed between the fingers. Our fine specimen at Apley is on its third generation â€“ the original tree suckering out to make a living cathedral. Sweet chestnut - Castanea sativa. Originally native to Asia minor and South Eastern Europe, the tree has now become established in most European countries. 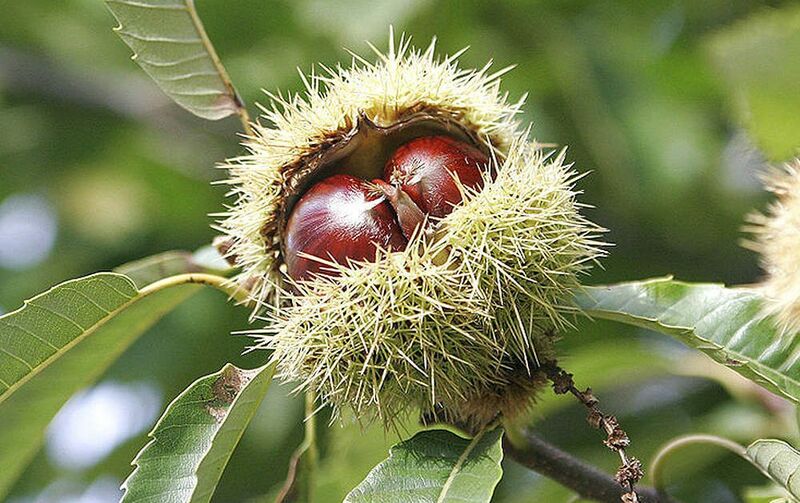 Cultivated since Roman times for its edible fruits, the chestnut has been part of the English landscape for centuries. It was also a popular choice in the landscape movement of the 18th and 19th century which is when the larger of Apleys specimens were planted. Note the spiralling fissures of the bark on this mature tree. Often referred to as the English Yew but found over most of Europe, it is the longest lived plant to be found in Europe with some examples believed to be between 2,000 and 4,000 years old. The wood was much sought after in the 15th and 16th centuries for bow making utilising the different properties of the heartwood and sapwood. So effective was the timber that we had to import it from Europe as we decimated our own supplies. It then became an important component for landscaping in the French Baroque style due to its uniform dark green foliage and its ability to be clipped into formal hedges and more elaborate topiary shapes. Known also as the giant sequoia and giant redwood, its natural habitat is restricted to the western slopes of the Sierra Nevada mountains in California. It can grow to a tremendous size with the largest examples reaching 90m (300ft) tall and 17m (56ft) in girth. While this doesnâ€™t make them the tallest tree in the world, they are certainly the largest in terms of volume. The one here at Apley is still only a baby! Native to Northern Europe and at higher altitudes in Southern Europe this tree is one of the most valuable trees for wildlife supporting 230 species of insect including buff tip moths and sawflies. The bark of mature trees is silvery-white but with black, diamond-shaped patches near the base. A pioneer tree suited to a wide range of soils and conditions, it can sometimes be invasive. The whitish timber is much used for furniture-making and the twigs for making besom brooms â€“ Once the only housewives choice, now chosen chiefly by witches! A hybrid betweenthe Oriental plane and the American plane, this tree was first recorded in Spain in the 17th century. A tall, deciduous tree tolerant of air pollution has made it a common site in cities all over the world. Its exfoliating bark is attractively marbled green and grey on mature specimens and insignificant spring flowers develop into bristly, globe like clusters which hang on the branches throughout the winter. 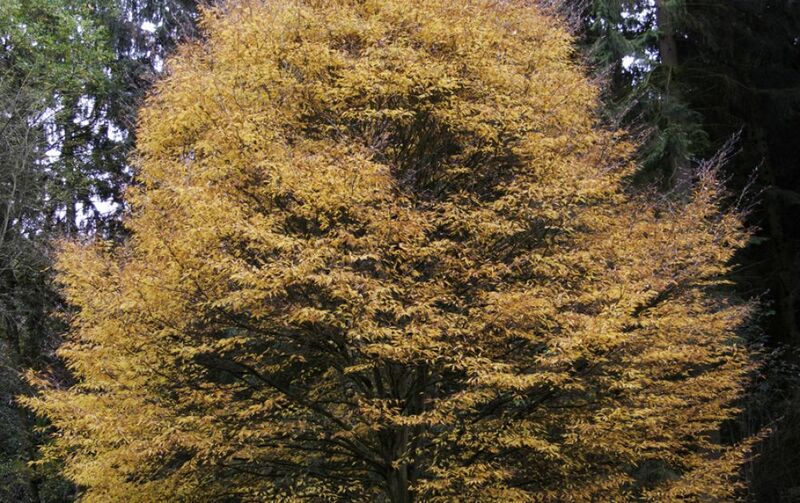 The small leaved lime is a large deciduous tree reaching upwards of 38m (100ft) at maturity and is native to Europe. Like the London Plane, it is a popular street tree with its upright habit and heart shaped leaves. It was much planted as an avenue tree and can be seen planted this way at Apley if you look beyond the boundaries to the north east and south east. Due to its good acoustic properties, its timber is used to make a variety of different instruments from recorders to guitar bodies. Native to Eastern North America, the black walnut was imported to Europe primarily for its valuable timber. It does produce edible walnuts but not as prolifically as other varieties â€“ and our summers in Shropshire are not quite long or hot enough to produce a viable crop. Cabinet makers prize the tight grained wood which polishes to a beautiful finish.